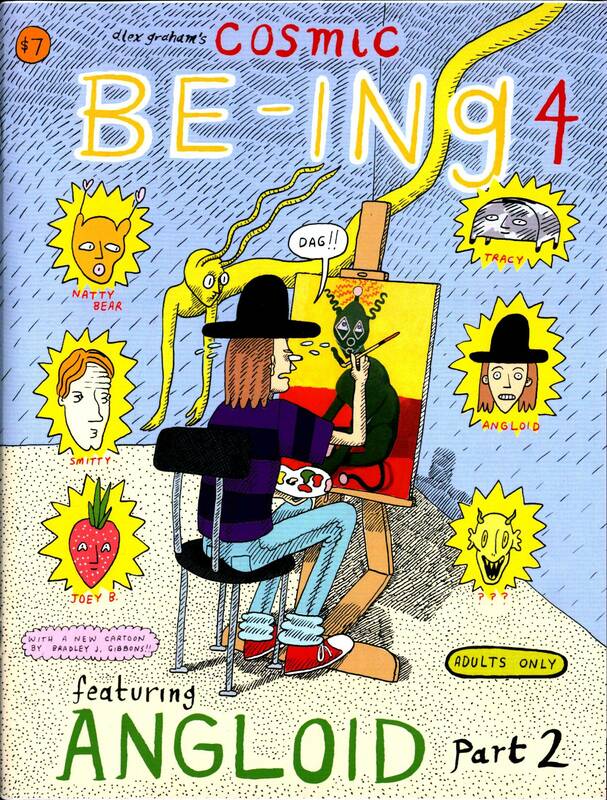 Cosmic Be-Ing #4 by Alex Graham. $7. Magazine size. 28 pages, black and white. Wow, there is a lot to chew on in any Alex Graham comic. Drawn in a straightforward style that eases the reader into a comfortable state, Graham is fearless in serving up as many conundrums, tough questions, philosophical debates, mental crises, and moments of euphoria as a staple bound comic can hold. These are ambitious works of art asking the big questions with a lot of heart and honesty...all the while keeping the humor and unpretentiousness of a good 'ol comic book. Unique and unexpected, but with an odd familiarity.